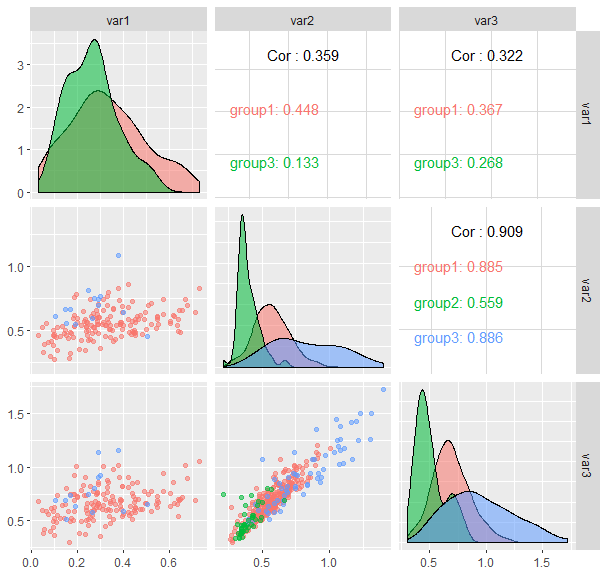 R help - How to display coloured group correlations with scale_colour_manual in ggpairs (R)? How to display coloured group correlations with scale_colour_manual in ggpairs (R)? 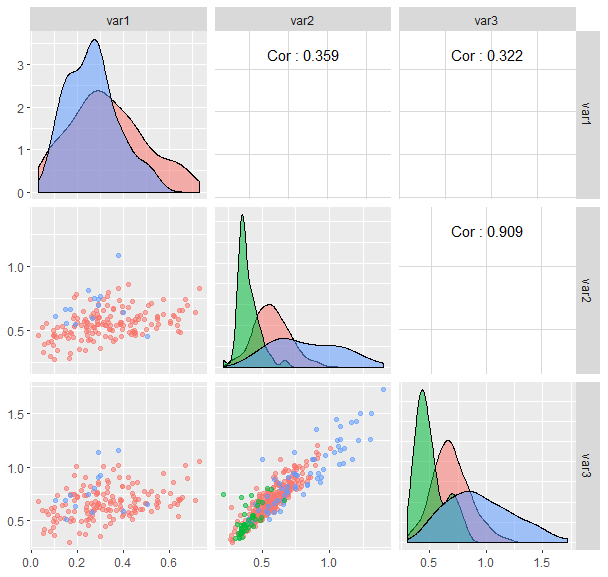 This seems to work for the density plots on the diagonal (ggally_densityDiag) and for the scatter plots in the lower part (ggally_points), but for the correlations (ggally_cor) I only get the overal (black) correlations and none of the coloured group correlations anymore. While they were displayed before, but with wrong matching of colours and groups. Why are they not displayed anymore? Following code generates this plot<https://i.stack.imgur.com/Iw5s2.png>, the colours and groups are not matching. The adapted code generated this plot<https://i.stack.imgur.com/DVrCt.png>, the coloured group correlations are not displayed anymore.